One of the best bits of advice I’ve ever received was that “If you aim high, you will invariably miss high.” In other words, where you end up is largely proportional to where you set your sights. Naturally, this was related to me in the context of my studies, however, I’ve found this to be applicable to almost any part of life in which we exert even nominal control, whether its fitness, entertaining guests, or even just working on one’s schedule. It’s about ambition, and the effort one places behind that ambition. Take for example our ‘standard’ images of summer. We might imagine basking in the sun, or drifting lazily in a crystal clear pool, or relaxed backyard gatherings – or perhaps all of these at once. After all, the depths of summer is where laziness becomes not merely acceptable, but something akin to a sign of status. One of my favorite ways to do this is to put a bit of a ‘handcrafted’ twist on a summer classic. 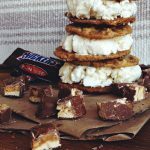 Of course, I’m talking about preparing my own Ice Cream Sandwiches, which brings us nicely to today’s recipe. We start off with Häagen Dazs Trio Triple Chocolate 14 oz., which features layers of crispy Belgian chocolate, blended into the rich decadence of white and dark chocolate ice cream. I paired this with Häagen Dazs Caramel Cone 14 oz., which features ribbons of caramel and crunchy chocolate-covered cone bits, folded into caramel flavored ice cream. I picked both of these up on my last supply run to Stop & Shop. 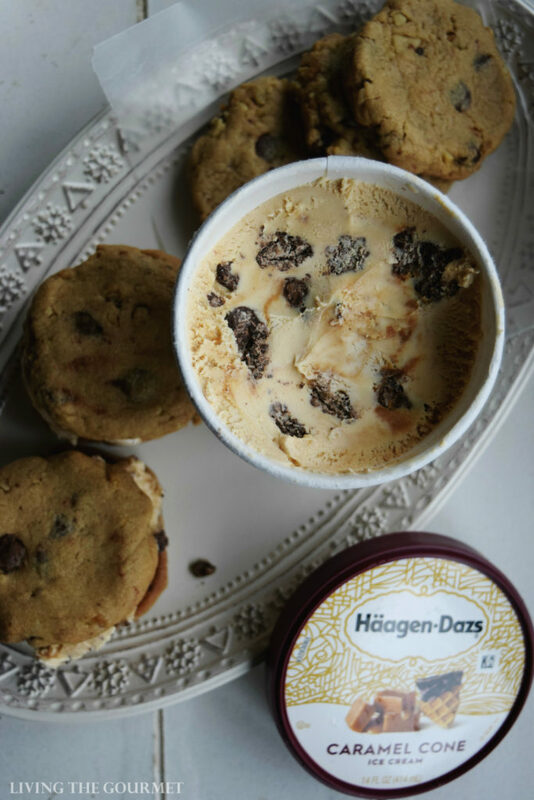 I prefer Häagen Dazs for these sorts of recipes since they’ve been around for over 50 years, and have maintained a passion for producing an ice cream with perfectly balanced flavors and a super creamy texture. 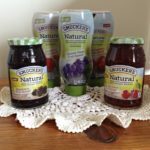 Beyond that, they use quality ingredients, turning their product into an extraordinary experience bite by bite. 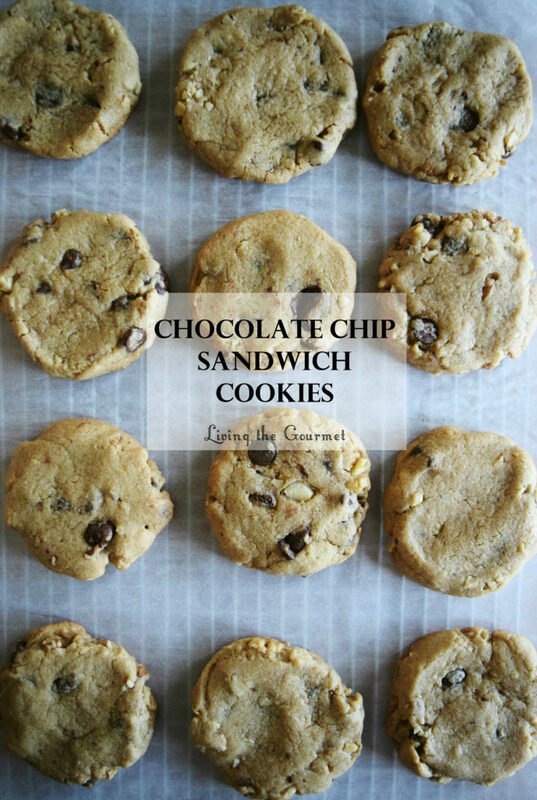 From there, we prep a batch of my signature Chocolate Chip Ice Cream Sandwich Cookies. To do this, we begin by combining butter and sugar together in a mix master, until thoroughly whipped, and then add in an egg and a teaspoon of vanilla a directed below. 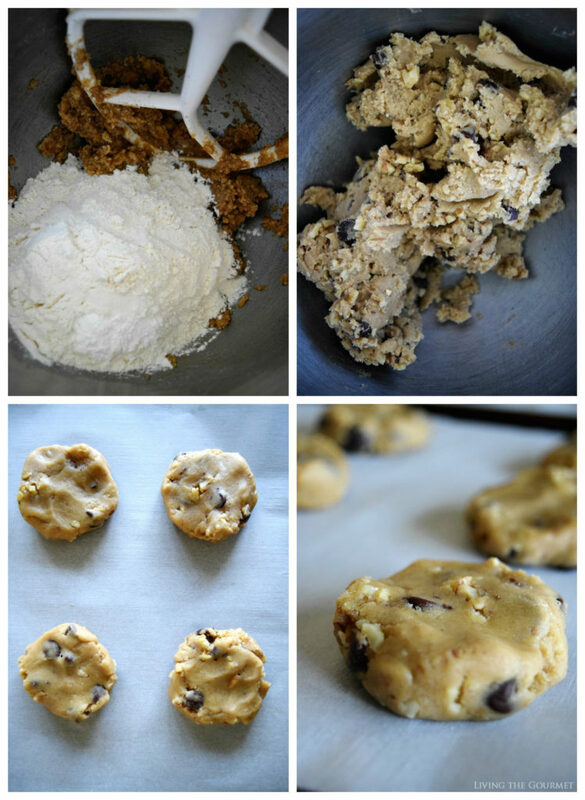 Simply add in the flour, baking powder, and salt, and beat until you have a soft cookie dough. Form the dough into cookies on a parchment lined baking sheet, and bake for about ten minutes. 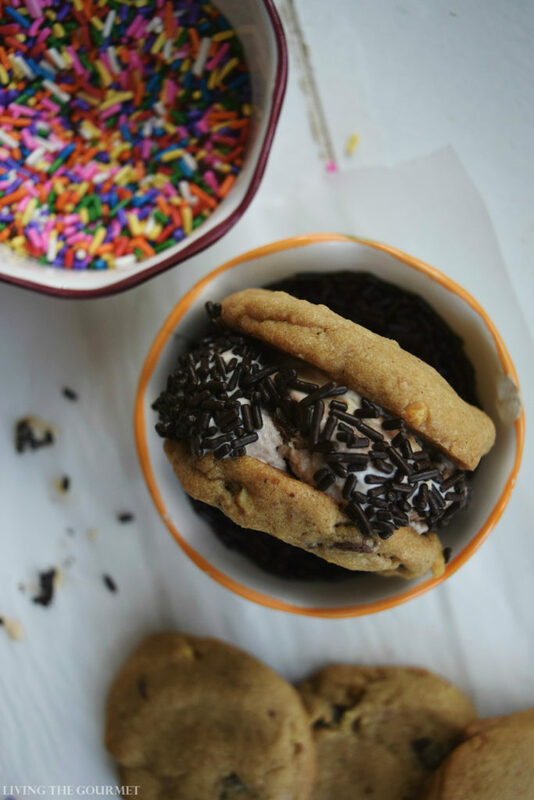 Once that’s done, it’s time for the fun part, sandwiching generous scoops of Häagen Dazs Trio Triple Chocolate and Häagen Dazs Caramel Cone between the cookies and dabbing the sides in sprinkles right before serving. In the bowl of your mix master beat butter and sugar until whipped. Add egg and vanilla. Add the flour, baking powder, and salt to the butter mixture. Beat until a soft cookie dough forms. Add in chocolate chips and nuts. Scoop out 1 tablespoon amount of cookie dough on parchment lined baking sheets. Baking the cookies for about 8-10 minutes just until the edges are golden but the center is still soft. Transfers to a wire rack and let cool. 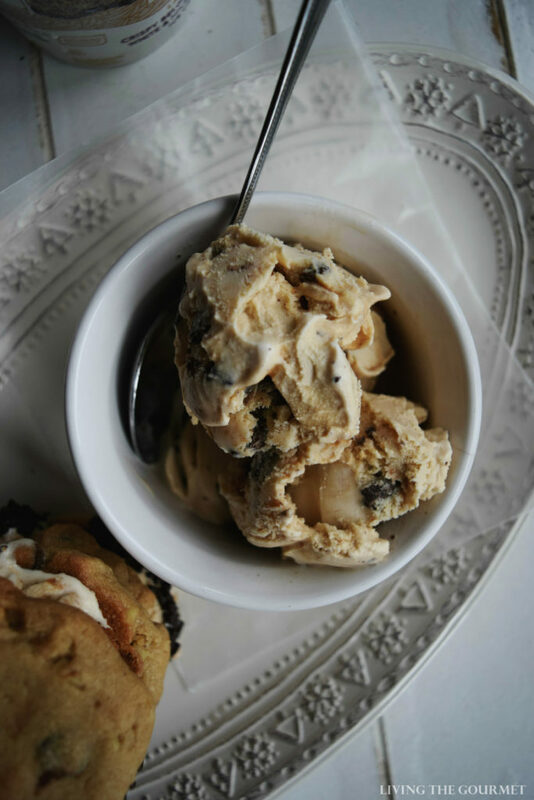 Serve with Häagen-Dazs Caramel Cone Ice Cream or any of your favorite Häagen-Dazs ice creams! Roll each sandwich in sprinkles if so desired. 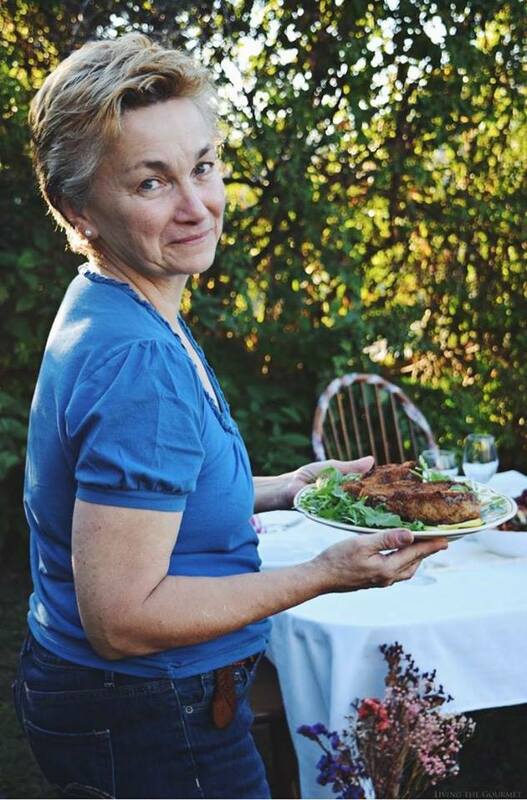 What are some of your favorite summer themed recipes? We would love to hear from you. 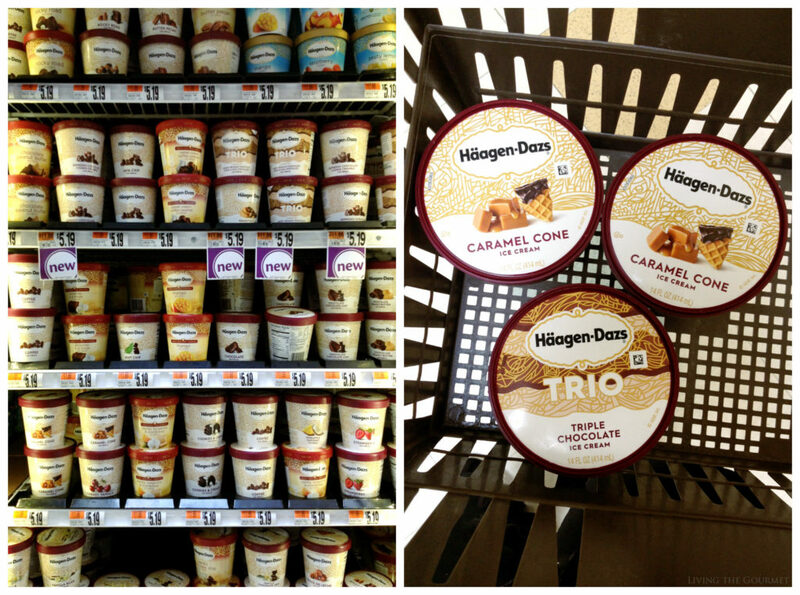 For savings off any three Häagen-Dazs 14 oz or bars, 3 ct, be sure to visit Stop & Shop log in (or create an account if you don’t have one) and save! 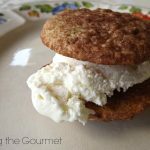 These sandwich cookies sound and look heavenly with ice cream! 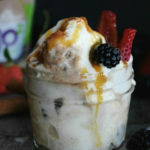 Love Ice Cream an these look wonderful!! 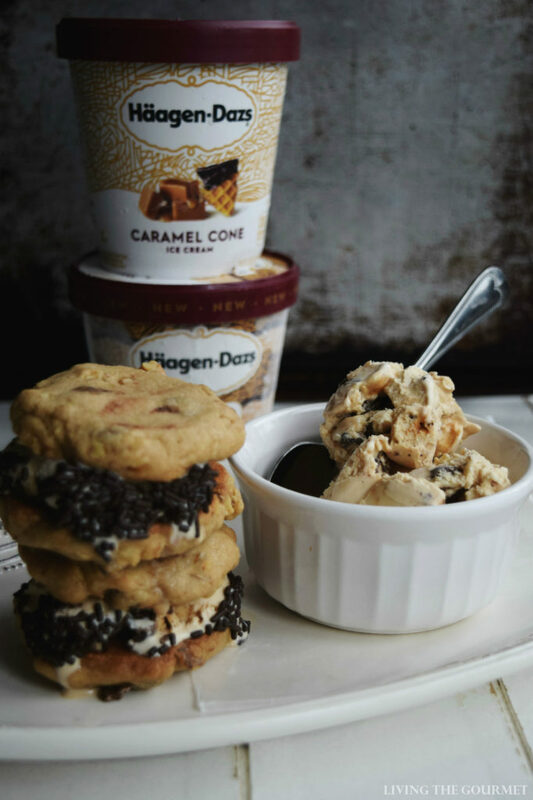 Wow, the cookies look delicious on their own----but filled with Haagen-Dazs pushes them over the top!!! Serious yum happening here! 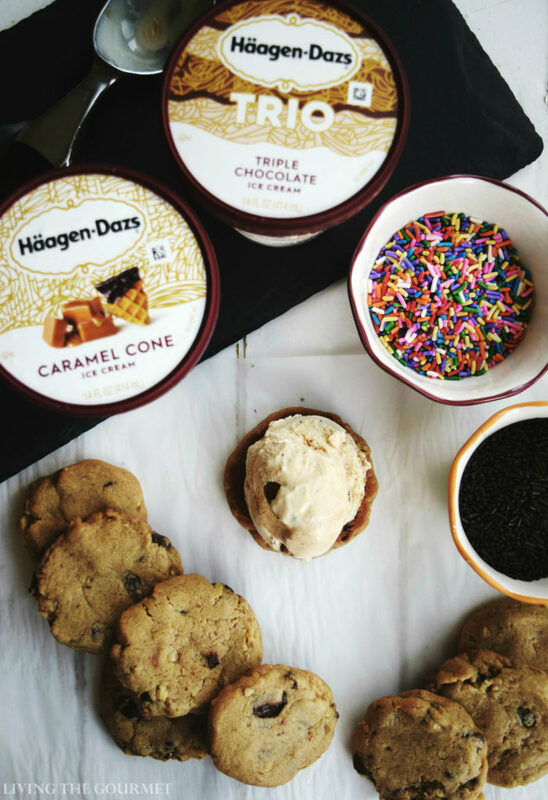 Is there anything better than Haagen-Daz? 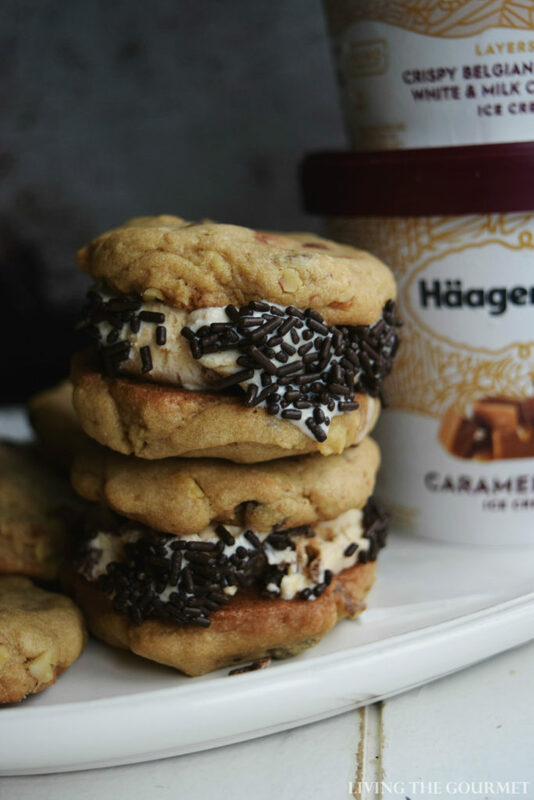 Oh, yes, Haagen-Daz ice cream sandwiches! These are gorgeous! 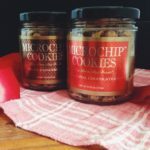 These would be a perfect addition to any summer evening!